Lufthansa Adjusts New Livery To Lighter Blue and Bigger Logo. 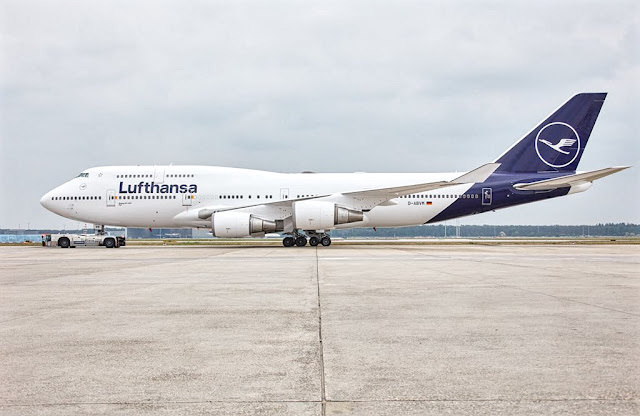 Lufthansa is testing some adjustments to its new livery, including a brighter blue color than the one originally chosen and a larger logo of the crane in the tail of the plane. 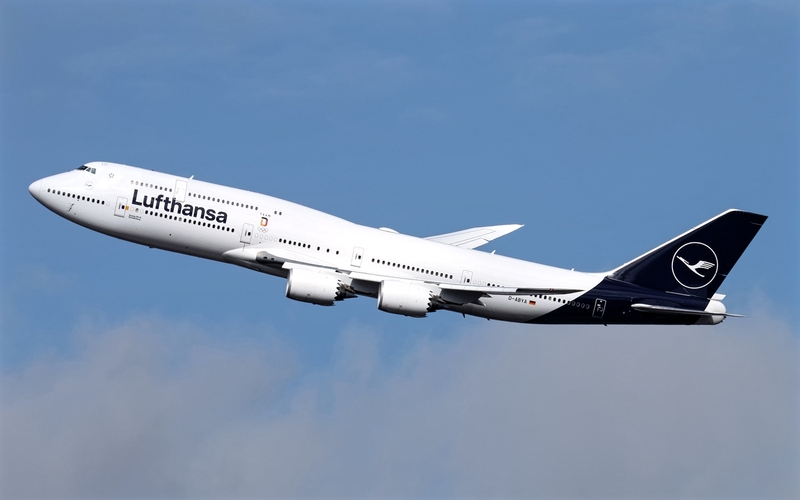 A Boeing 747-400 with the scheme arrived yesterday in Frankfurt and will be used to operate a Toronto service this week. The German operator describes the updated color as "optimized blue". It seems to have a purple tinge. The test of a brighter painting comes after several commentators noticed that the new livery seemed to darken with some illumination and seen as black.